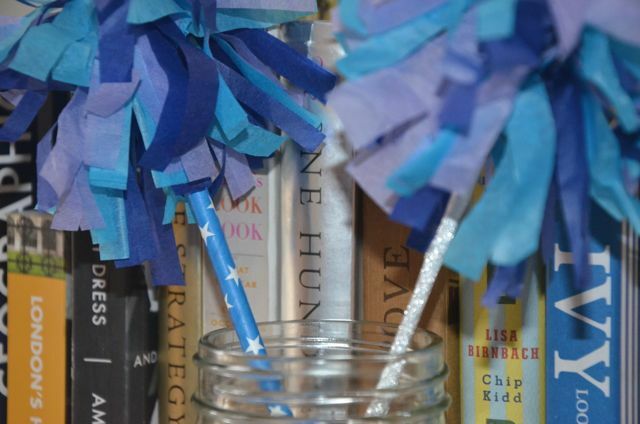 Whether for celebrating, to use as cocktail decorations or for cheering on your favorite sports team, these little pom-poms are easy to make and lots of fun! I love these for making drinks a bit more festive, but they would also be fun if you're having friends over to watch a sporting event on TV. 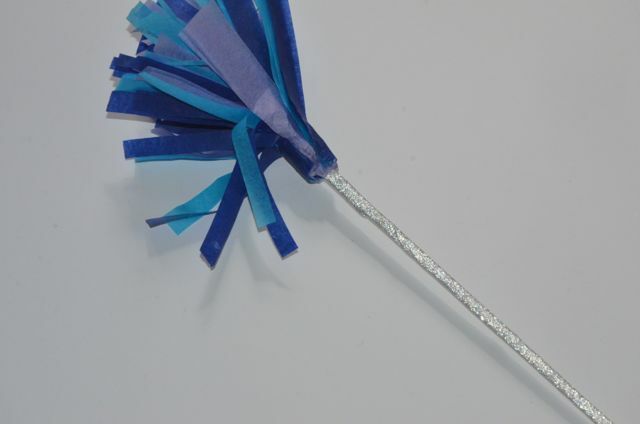 For the stick of the pom-pom, I've used wooden skewers because that's what I have on-hand, however feel free to use the stick option of your choice. To decorate them, I've provided two options. 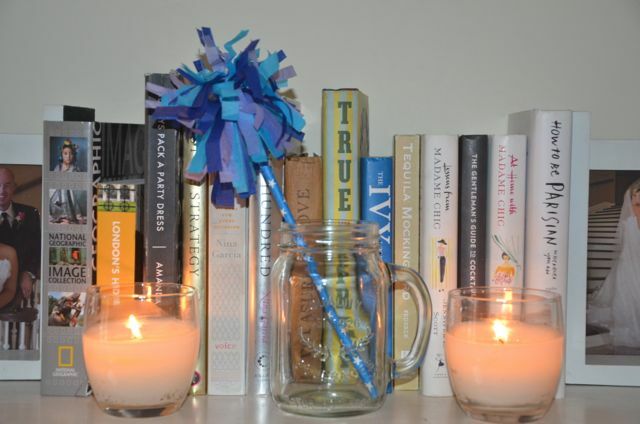 Firstly, washi tape works wonders however if you're using these for a drink, I also like to just pop the stick into a paper straw. You can choose whichever you like best - see examples in the photo above. 1. If you're using the washi tape option, start by wrapping the skewer with the tape. 2. 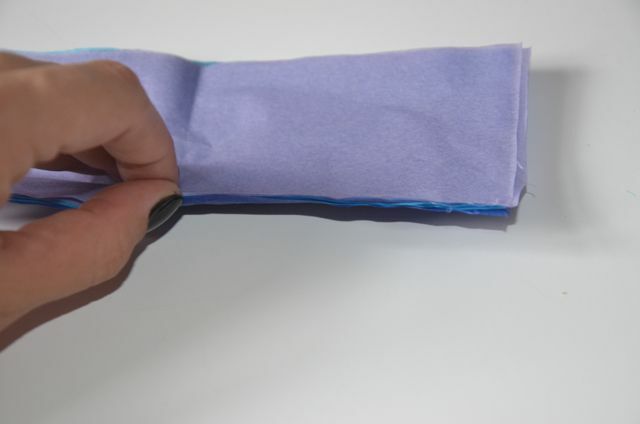 Start by lining up the four pieces of tissue paper and gluing them all together on one side with little dots of glue - you only need a few dots to hold it together temporarily. 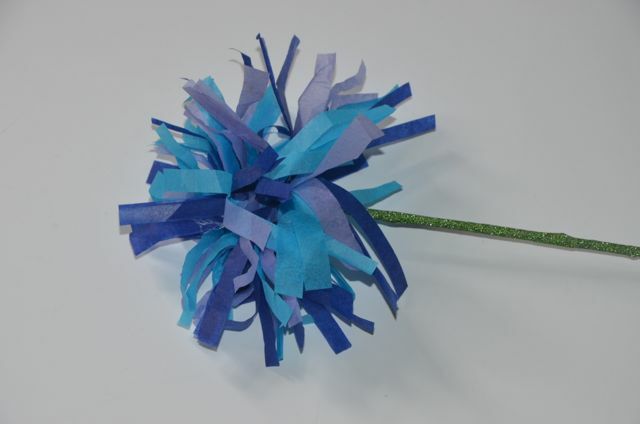 You can use all one color of tissue or all different colors - the choice is yours. 3. Once the layers are all attached on one side and the glue is dried, start making the fringe. Using scissors, cut from the loose side towards the glued side, leaving about 1 inch on the side that's glued. The fringe doesn't have to bee all one size, so don't feel like this needs to be perfect, but try to space them out about a centimeter apart. 4. Attach one side of the fringed tissue layers to the pointy side of the skewer by adding a dot of glue to the 1-inch slack and pressing it to the skewer. Start wrapping the tissue around and glue to secure a few times along the way. The tighter you wrap it, the more fluffy the pom-pom will be. When you get to the end, secure it tightly with glue. If you are using the straw option, now is the time to slip the skewer into the straw. If you need to, attach it with a dot of glue at the top as neatly as possible. 5. Spin the pom-pom between your hands to fluff it out and if desired, crunch it gently a bit with your hands to get some volume.